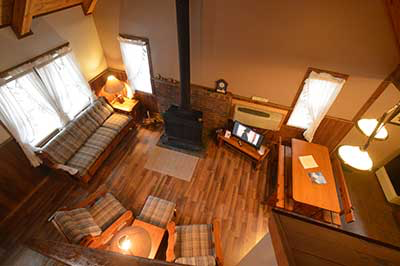 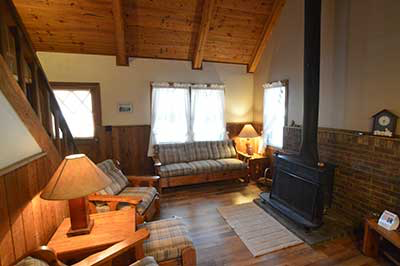 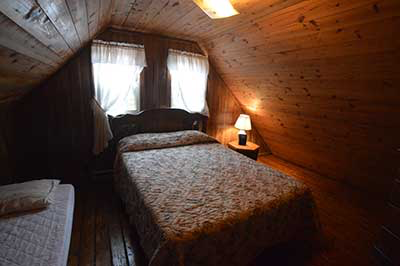 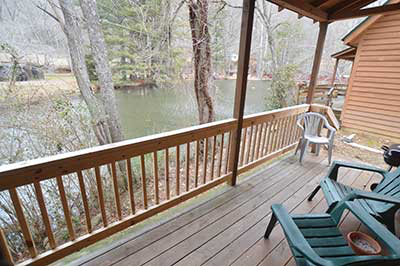 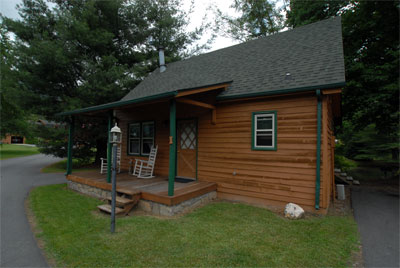 This is the cabin at end closest to the trout pond and overlooking the bass pond. 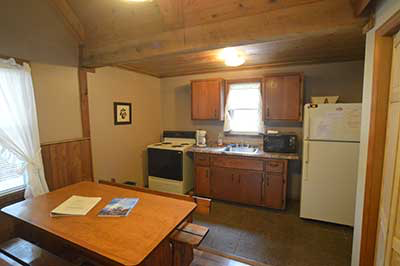 Its a two bedroom and sleeps four to six people. 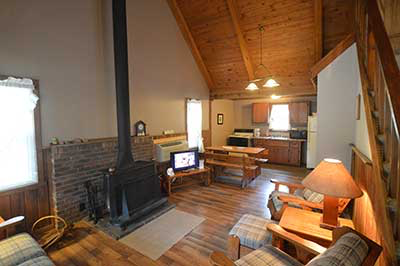 Full kitchen, living room with fireplace and color cable TV, Master Bedroom and bath down, loft overlook bedroom up, front and back deck. 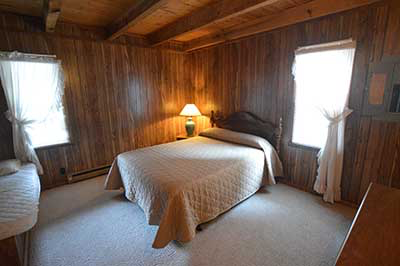 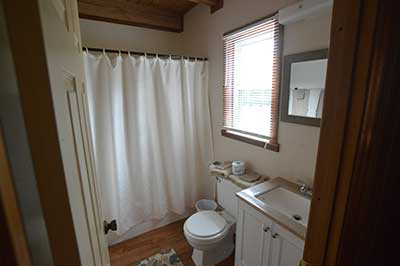 Master Bedroom has a queen and a single, up bedroom has double and single.